Next up to the Reader Spot is reviewer, Emma Welton from Damp Pebbles. Find her book review blog HERE. I’m afraid I’m one of those boring people who rarely venture outside their normal genre. For me it’s crime fiction, thrillers and psychological thrillers. I also love horror but don’t tend to read as much as I would like. Hard to pin it down to one! I’m loving the new DCI Erika Foster series by Robert Bryndza. As soon as Chris Carter publishes a new Robert Hunter book I HAVE to have it. Mark Billingham’s Thorne series and Robert Galbraith’s Cormoran Strike are also firm favourites. One of the joys (my husband thinks) of being a book blogger is that the number of books I buy has significantly reduced, as I get sent review copies now. Saying that, when I do sneak the odd purchase in, I tend to head to Amazon. I do find it physically impossible to walk past a Waterstones and if I see an independent bookshop or a charity bookshop I always pop in for a mooch. 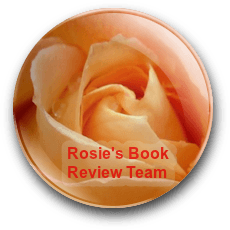 Most of my recommendations come from fellow book bloggers and the fabulous facebook book groups which I am a part of. I also keep an eye on NetGalley. My birthday is in August so every August I ask for amazon vouchers. My family do moan as they don’t think vouchers are an acceptable birthday present but I love receiving them! I’m just coming to the end of my birthday vouchers from last year so it’s nearly time to restock! Twists and turns. The unexpected. Something a bit different. A good number of people being murdered in imaginative ways (gosh, I’m a bit strange!). A plot that is always moving and holds my interest. Characters I can relate to who I can picture myself going down the pub for a white wine with. That’s not a lot to ask for, is it…? Ha ha, not at all! I’m a stay at home mum so I read whenever I get the chance and it changes from day to day. I love reading in bed though. Surely everyone loves reading in bed? My blog has its own Facebook page and I’m on Twitter. I’ve recently started an Instagram account; my username is damppebbles (but I have no idea what I’m doing on Instagram at the moment!). I also have my personal Facebook account. Nice to learn a bit more about you! Isn’t that a fab bed?? Great interview! I love finding out more about the bloggers I know. 🙂 The bed in the pic is fab but I’d have to fight for it in my house as my husband has recently seen a bed where he could store his record collection underneath and is quite keen on that idea! Haha! Shelley, did you mix up my interview with Emma’s???? I am August born, read in bed, prefer Kindles, and have to write book reviews THE MINUTE I’ve finished the book… actually, the photo could almost be me, too!